The web version of this project is a space for thinking, teaching, and connecting tools with ideas and content. For an overview of how Digital Humanities (DH) approaches are inflecting the research, see the Rationale that introduces the methodological framing via what I refer to as Computational Parallax, attention to the “scope” metaphor, and conceptualization of Galileo’s Database. Contextualized, preliminary results are offered in the remaining sections. 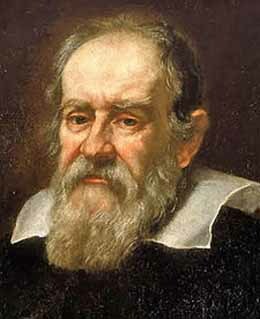 Portrait of Galileo (1635) by Justus Sustermans. The “Galileo’s Library” digital humanities project asks many questions: What is a library? What are the best digital tools for recreating a library as an intellectual artifact? How does one digitally navigate a book collection as a learning tool? What kinds of computation are possible with data about an historical library? Descriptions of libraries often rely on the geographical or historical coverage of the objects, the textual content of the books, or even the networks of ideas and people they represent, all of which are partially incomplete in the case of Galileo’s library. 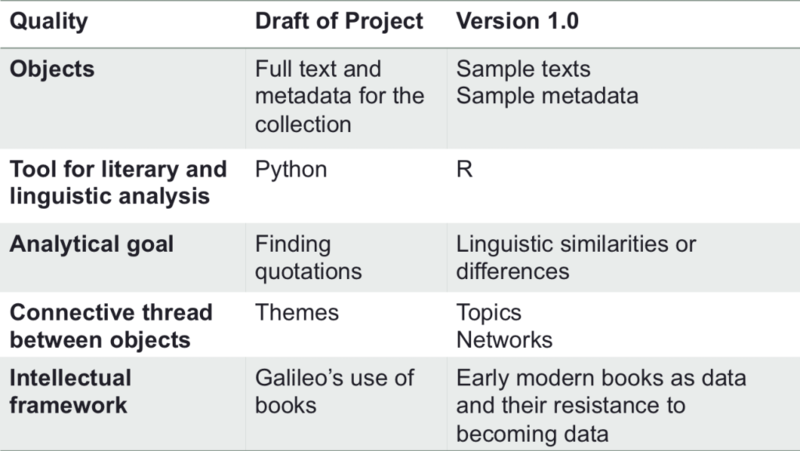 The most pressing questions at this early point in the project, are about the nature of humanities data: How (or should) partial information about a book be included with the data set of specific, known editions in that collection? Can a database recreate knowledge making practices in the late Renaissance? The project also recognizes the important value of Galileo as a historical figure involved in the intersection of technology with culture, new methodologies and scholarly tradition, and the successes and challenges of working in multiple disciplines. In short, Galileo makes frequent cameos in digital humanities scholarship. The early modern English book trade has benefited from more extensive study of its relatively organized and documented community of printers, publishers, book-sellers, and patrons. While much great research has been undertaken on the Italian context for book culture, my project hopes to offer preliminary observations and suggest new, fruitful avenues for exploration. Looking at his library is also an opportunity to explore the claims of Galileo’s exceptionalism as well as arguments about the catalysts for paradigm shift. Underlying all of this is the recognition that adopting new representational and analytical technologies defined the early modern period and so a better understanding of one might better inform our approach to the other. This version of the project already represents a significant change from its original conceptualization. The changes are outlined below, and the future of the project is partially anticipated by the section on Galileo’s Database. Comparison of the original “Galileo’s Library” project outline with what is represented on the current website.